Five films and 11 years later, the Transformers movie folks finally got the robot designs right. 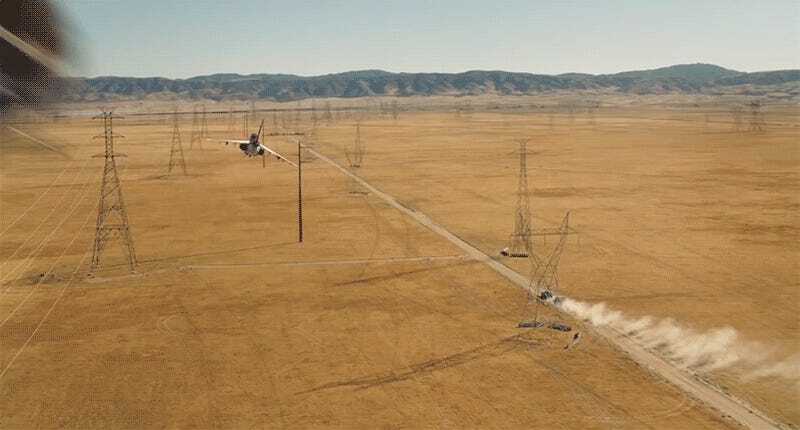 The latest trailer for December’s Bumblebee movie is packed with the first generation Autobots and Decepticons long-time fans have been waiting for. Ravage, eject! Bumblebee is set in the late ‘80s, a couple of decades before the Transformers’ war came to the Earth full-force in 2007's Transformers. So it makes sense that Bumblebee is a run-down Volkswagen Beetle instead of a Camaro. And since the Autobots and Decepticons on Cybertron haven’t adapted Earth forms yet, they look more like the ‘bots and ‘cons we’re used to. Shockwave only needs one eye, thank you very much. 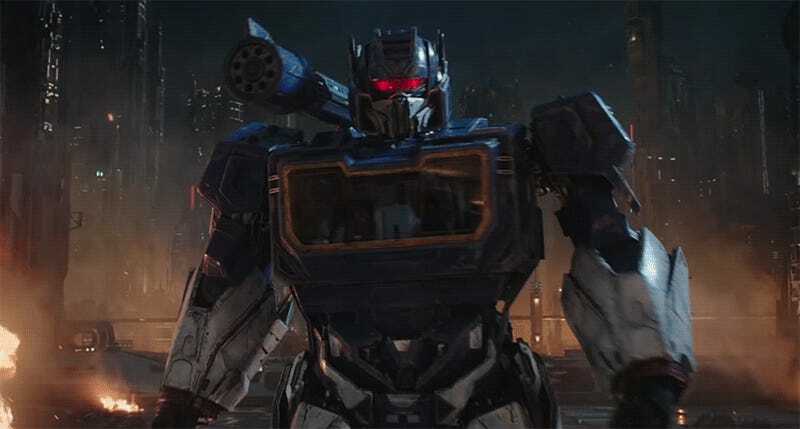 And while we don’t see him for more than a second, Optimus Prime is looking much more like his original cartoon counterpart than the complicated pile of parts he’s been in movies one through five. I wonder if his fists come off and get lost in the toy box. Then we have what I am guessing is Starscream. He still has a bit of the Michael Bay-bot jankiness, but look at the face. Those little ear dealies on either side are pure generation one. That’s enough Starscream (or whichever Seeker) for me. It’s like seeing a ghost. There are new characters, like the pair of triple changers showing off below. Their names are Shatter and Dropkick, and while they do obnoxiously change from flying vehicles to cars for no reason other than to show off, the red one is voiced by Angela Bassett, so they get a pass. There have been plenty of big stars in Transformers movies, so as exciting as Bassett is, she’s not what I’m really excited about. I’m excited about finally feeling like someone making these bastards finally decided to throw us old school fans a little love. Even if it ends up being too little, too late. Look at the Cybertronian Seekers! Look at them! We’ll see what happens when Bumblebee arrives in theaters this Christmas. Check out the full trailer below.